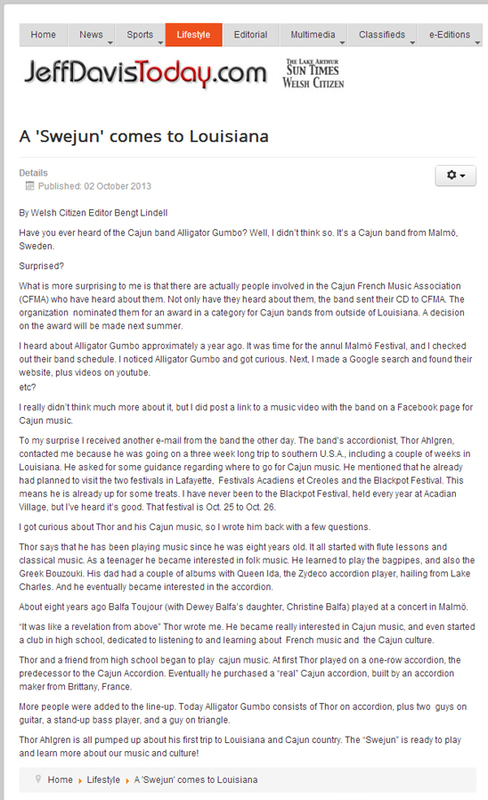 During the era of Alligator Gumbo newspapers and radio have noticed us. Here are some of this. After the tour 2018 with The Cajun Country Revival the magazine SCC had a interview with Thor. Text by Josefin. A "swejun" comes to Louisiana. 1. Welsh magazine in Louisiana, USA followed Thor's journey in Louisiana. After the release of our album Simmerin'. P2 Klingan played the first song "Eunice one-step" with bagpipes. Before the Alligator Gumbo performed at Frölunda Roots Festival, Götebog the produced Tomas Modig said a couple of words. 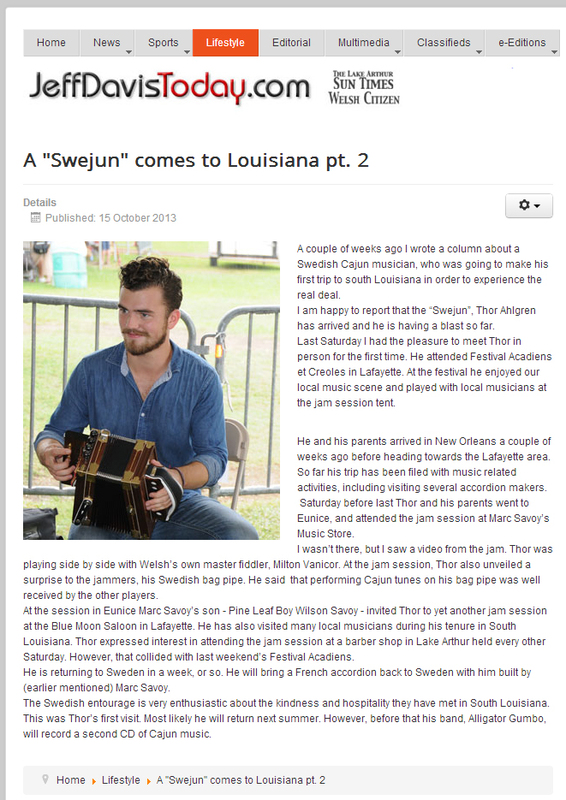 A "swejun" comes to Louisiana .2. 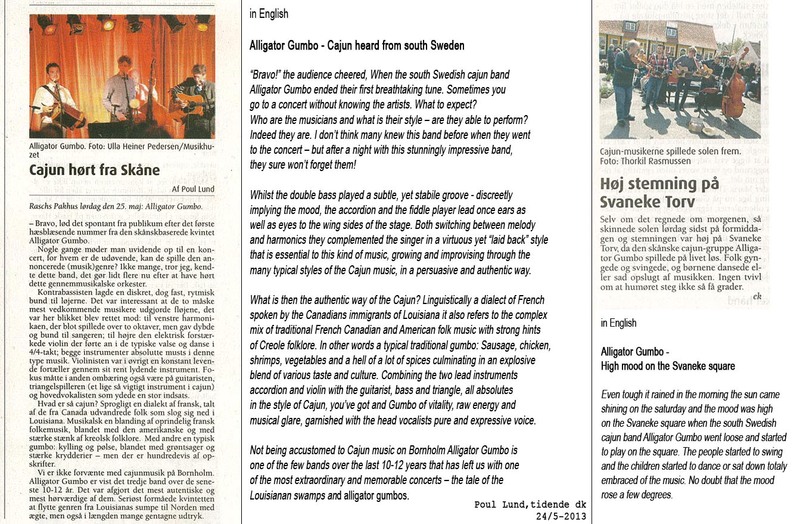 With our wonderful tour papa Thorkil Rasmussen's help Alligator Gumbo made a impression of the danish island of Bornholm.